Winnipeg is a diverse city that rallies around its beloved hockey team. The Winnipeg Jets have fans of all genders, all ethnicities, all political views, and all religions. 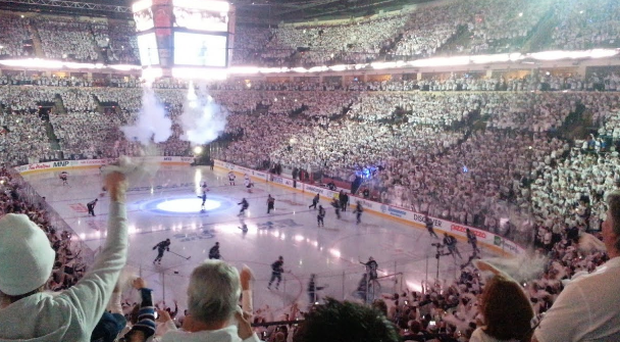 The Winnipeg Whiteout is a tradition that dates back to 1987, in which fans create a virtual blizzard in response to the Calgary Flames’ “C of Red” by wearing all-white clothing during games, while also flooding the streets in support of their team.